I was talking this week with Mark Allen, the founder of Machine Project (an alternative arts space in LA), about different models for community engagement in cultural institutions. At one point, he commented that there's a difference between the "framework" and the "sensibility" for engagement. The framework is the format or setup for how community members are invited to participate. The sensibility is the content and the style with which the engagement happens. I've written before about the difference between participatory processes and products, but this question of frameworks and sensibility is more broadly applicable to community engagement strategies. An institution might have a formal framework and an informal sensibility or vice versa. For example, consider two independent arts organizations in Los Angeles -- Machine Project and The Public School. Machine Project has a curatorial framework--Mark and his team carefully craft its events, workshops, and exhibits. In contrast, The Public School has a democratic framework--anyone can use their website to propose a class she'd like to take or teach. Tickets are $20 a person and cover all the dumplings you can eat, unless someone else eats all they can eat faster than you and we run out of dumplings. But we're going to get a lot of dumplings. Space is limited because it's just one grandmother's condo and the neighbors are really old and we don't want to upset them. For me, it's helpful to separate sensibility from frameworks so I can think about what I'm trying to achieve with a particular project or institution. Sometimes, when I'm focused on welcoming visitors and being good hosts, I'm really talking about sensibility. And other times, when I'm focused on opening up access and opportunities for audience members to partner with staff, I'm talking about framework. It's interesting to note that frameworks can be easily replicated and extended--The Public School now has centers in seven cities around the world--whereas sensibilities, which are often idiosyncratic to institutional leaders, cannot. It's easy to assume that an informal sensibility implies an open framework and vice versa--but that assumption doesn't bear out in reality. A museum can be friendly, or serious, or funny, while maintaining a traditional relationship with visitors as consumers of experiences. And alternatively, an institution can conduct co-creative projects with community members without altering its external sensibility or institutional tone. A welcoming and collaborative sensibility is important to attracting and working with participants, but that tone may not carry over to the rest of the institution and its broader audience. In fact, I find that participatory products are often more likely to reflect a formal sensibility than their traditional counterparts. Community galleries look old-fashioned because citizen curators aspire to emulate the most traditional vision of a museum possible. Teen docents are more serious than adults because they want to be treated like professionals. Co-creation projects are often measured partly by their ability to "fit in" with the rest of the institution. It takes a high level of confidence--which comes with experience--to reject the dominant sensibility and try something else. When we look at innovative community engagement initiatives, or when we think of how we ourselves want to be innovative, it's worth considering the difference between innovative frameworks and sensibilities. There are some extraordinary institutions, like STREB Labs in New York, that innovate in both ways. But it's far more typical to focus on just one. The Exploratorium and MCA Denver are both masters of pairing fairly standard museum frameworks for audience engagement with an energized, funky sensibility. The Wing Luke Asian Museum marries an incredible, radical community framework with a more traditional museum sensibility. The Wing Luke makes their format available for others to use, whereas the elevator performances at the MCA Denver and the cardboard villages at the Exploratorium are part of what make those institutions uniquely themselves. When I first met Adam Lerner, the Director of the MCA Denver, we had a friendly argument about visitor participation. Adam advocated that museums should focus on cultivating a strong voice rather than giving up to the clutter and dilution of the town square. I argued that involving visitors with a well-designed process meant diversifying and opening the institution, not muddling it with junk. I realize now that we were talking about two different things. Adam is a master of sensibility. I was focused on framework. We're both driven to make museums more exciting and relevant to visitors; we were just tackling the problem in different ways. These days, I spend a lot of time working on new models for both framework and sensibility. It's hard to say which is more important--or challenging--to transform. What's more interesting to you--changing the voice and sensibility with which you engage audiences, or changing the framework for doing so? Do you see these as separate, connected, or conflated? Quick Hit: How Do You Follow Up with Participants? When someone leaves a comment, makes a sculpture, or writes a poem at your institution, is that the end of their participation? This email from TripAdvisor is a great example of the simple power of getting back in touch with participants--to thank them, and more importantly, to demonstrate that their participation mattered to other visitors. There are great examples of this kind of thing focusing solely on the participant--for example, the Chicago Children's Museum practice of inviting kids to write postcards home to themselves from the museum. But a lot of participation extends beyond the individual, and we should celebrate that. Too often, we treat participation as a one-on-one transaction between participant and institution, when in reality visitors are always making things for each other as well. These kinds of messages help people be more aware of how their actions impact others, helping them move from "me" to "we." it validates participation in the eyes not just of the institution but other "people like you"
Of course, this requires capturing an email address at the point of participation, which isn't always easy, especially for low-tech projects. But in a few recent projects where I've offered visitors the option to have something emailed home, I've gotten 95-100% participation. People are eager to continue their relationship with an institution after having a creative, social interaction onsite. Why not use messages like this one to help those relationships along? If you want to download the slides, they're here. And if you want to see other NODEM talks from Fiona Cameron and Michael Edson, they're here. Remember the last time someone said to you, "this is entirely your choice?" Maybe it was your family saying you could pick the restaurant, or your boss offering you one of two paths forward. Whatever the situation, personal or professional, the choice is not always honestly yours. Sometimes you really are the master of your own fate. Sometimes you're not. When institutions invite visitors to participate on their terms, it's often tinged with the same lack of clarity about visitors' personal agency. Last month, the radio show This American Life ran a fascinating episode called "Kid Politics," which starts with a long segment about the Air Force One Discovery Center immersive experience at the Ronald Reagan Presidential Library. Whatever your opinion of Reagan, the segment, reported by Starlee Kline, is a fascinating perspective on what happens when we tell visitors the choice is theirs and then subtly (or not-so-subtly) tell them what to do. The Discovery Center is a one-hour simulation in which groups of students (grade 5 and up) role play in a realistic, interactive environment. The students are each given roles on one of three teams--the Oval Office, a military command center, and a press room. The topic is the invasion of Grenada. The students are presented with the situation that Reagan faced (1983, a Communist revolution in a small country near other Communist countries, a group of 800 American medical students stranded there) and asked to figure out what to do. You can listen to Starlee Kline's opinionated 20-minute piece about it here. There's also a shorter, more expository (and positive) CBS video about the experience here. When you walk through these doors, you will no longer be students. You will make history. Lives are at stake. Adult staff members are not here to answer questions or help you. The responsibility is entirely yours. Before they start, the kids are told there aren't right or wrong answers. But the whole thing's rigged to make what Ronald Reagan did in 1983 look like the most appealing option. Each time they choose to do what he did, a bell goes off like they've won a tropical vacation to Grenada, instead of an invasion. The adult educators and onscreen actors reward the group, saying things like "nicely done, that's correct based on what Ronald Reagan did," and "excellent work, President Reagan." Starlee follows several groups through the Discovery Center experience over the course of a day. It isn't until the last group when Starlee sees a young Reagan who decides against the invasion--and against history. Whenever he enters the "wrong" choice, there's a loud, angry buzzer. This time, the onscreen actors and educator don't say "good job" or reward the students for their desire to avoid invasion. Instead, they get a lecture on what really happened in 1983. If the point of the Discovery Center is to teach students the facts of the Grenada invasion, it's reasonable to create a program in which there's a right and wrong answer about what happened in history. But walking into this experience, the kids were told that the responsibility was "entirely theirs." It's disingenuous--and makes for a lopsided role playing experience--if there's only really one path to take. The goal is for students to experience presidential decision making, and then debrief, discuss, and share, utilizing historical and civic literacy skills. The buzzer is meant to show whether or not you made the same choice as Reagan--not whether or not there was a right or wrong choice made. And the intention was for the facilitator to point out either during the experience itself or during the debrief that there are a lot of different choices. Again and again, our educators tell the students that there are no wrong answers here and that students have a different perspective given their place in history. Yes, the majority of the groups probably choose what Reagan actually did. But when the students leave, we want to make sure they have the right information about what really happened in history. There's a thin line between understanding what really happened and imagining something else based on what the students experienced in a simulation. Could 5th graders handle a truly open simulation? Maybe, maybe not. In a charming and potential heretical chapter in the book Connecting Kids to History with Museum Exhibitions, Minnesota History Center Museum director Dan Spock argues that for kids, imagining history, even inaccurately, may be more valuable than teaching them what really happened. While I tend to agree with Dan, I suspect that school boards across California may not share our enthusiasm. Imagine how the Discovery Center simulation might be different if kids really had a choice, if the Library worked with historians to imagine and spin out augmented versions of the past. It would be both exciting and confusing. From an experiential perspective, if we had true forking paths, it would take more time and more complex facilitation. We had a mandate to be able to put through five school groups per day, which means 45-50 minutes per group. Also, we're working with 5th graders who actually aren't learning anything about 20th century history, so they're coming in with a focus on historical thinking but not a strong understanding of what happened in the 1980s. I absolutely could imagine that those kinds of forking scenarios could be created using more space, more historical documents, greater time for analysis, maybe a different audience, and I think that would be extraordinarily exciting. This post isn't a question of who's "right" about how these experiences are perceived by visitors. There's no A or B button at the end of this post with a buzzer ready to go off if you agree with Starlee Kline or the folks who work with the Air Force One Discovery Center. This post is here to raise questions: what kinds of choices are you letting participants make in the experiences you design? How honest and transparent are you about those choices? And if you are leading the participant, why? You go to an arts event, one of a type you rarely or never take part in. Maybe it's a live music concert, or a museum visit, or a play. You have a great time. This is a question I've been puzzling over now for a few months, both professionally and personally. There's been a lot of innovation in arts programming in the last few years. Museums and other venues are offering special programs for teens, for hipsters, for people who want a more active or spiritual or participatory experience. Sometimes these innovations are woven into the institutional core programming, as at the redesigned, highly interactive Oakland Museum of California. Others layer these new activities and audiences on through monthly late nights or short-term installations. In most cases the goal is the same: to attract new audiences and help them understand how the institution (and the arts experience) might fit into their lives. Internally, staff members spend a good amount of time grappling with how to invite new audiences in, and whether it is possible to use "parallel" programming to draw new visitors into the "pipeline" of core offerings. But I'm interested in a more basic question: what does it take for a person--a visitor/audience member--to form an art or museum habit? If we want to transform museums into place for everyday use that people drop in on for a quick fix of history, a meeting with a friend, or a cup of coffee, what will that require? I ask these questions because I think there's a pretty big gulf between the one-time or occasional arts experience and the idea of art and institutions as part of your life. For myself personally, this gulf rears its head every time I go to a live music concert. Each time I go (about four times a year), I have a fabulous time. But it never makes me want to increase the frequency of my participation. Only in the last two weeks, when I've had the unusual experience of going to three music events (symphony, rock, jazz) in a short period of time, have I started to think about the possibility of integrating live music more consistently into my life. Social pressure. If you have a friend or group of friends who like to "go out"--whether that's brunch, hiking, movies, or museums--you're more likely to form a habit that involves external venues. I've met people who tell me, "every Sunday we go to brunch and then the museum," or "our crew loves to go dancing every weekend." These habits tend to be highly socially-focused--if the group or some portion of the group isn't going, individuals won't go out on their own. External schedule or pressure. Soccer leagues, weekly yoga, six-session guitar lessons, theater season passes. When something gets booked on your calendar, you attend. Some of the most successful museum programs I know of that draw people again and again happen on a regular schedule. If you love Toddler Time, it becomes part of your Tuesdays. It's funny that museums tout the fact that you can come "anytime," but in most of our lives, the things we commit to are things that happen on a regular schedule. If your calendar doesn't ping you to go to class, you might not attend. Repeat exposure. This is related to 2) but slightly different. Lots of motivational literature suggests that it takes multiple sessions in a short timeframe to take on a new habit, whether a new food, fitness regimen, or activity. This is why some yoga studios offer "30 day challenges" in which you get all your classes free if you come every day for 30 days. The idea is that once you've come every day for a month, you'll be sufficiently hooked to continue your participation (albeit likely at slower frequency). I think I'm experiencing this shift with live music now due to repeat exposure in a short period of time. Intrinsic pressure or desire. This is the holy grail for arts, I think--the person who shifts from social or external pressure to feeling, deep inside, that they want to make the arts institution part of their regular life. Of course, intrinsic desire is not always motivated by the purest intentions. People go to the gym and the grocery store because they feel they must. It helps that these activities have an outcome that is widely accepted as good and useful. Even internally-driven motivation is influenced by external societal pressures. Some activities are terrifically good at encouraging regular use because they combine all three of these. For me, this often happens with team sports. A new sport instantly introduces me to a gung-ho social group, a regular schedule of opportunity to play, a heavy dose of endorphins, and the chance to challenge myself physically and mentally. For someone else, this might be knitting (which also can come with social support, regular schedule, opportunity to be creative, and a warm and pleasing outcome). There are other activities that start with only one type of motivation--say, the intrinsic desire to get a cup of coffee--but are reinforced over time by other forms, such as casual friendships with the coffee shop staff and other regulars. Market your venue explicitly as a social one. The single most likely reason I will go try something new is if a friend, date, or family member invites me. Even though data shows that the majority of people visit museums in social groups, there's a misperception--especially of art museums--that they are places for solo contemplation. Especially for infrequent arts participants, marketing that emphasizes the museum as a date venue, a post-brunch stroll for the girls, or an after school hangout, can help people see that they can suggest a museum to friends the way they might suggest a restaurant. Create more regular programming that you encourage people to buy or register for as a series. There's a reason theaters work so hard to get season subscribers (and it's not just the advance payment). When you "sign on" for six plays, you have an external motivation to attend. You don't have to remember, consider the opportunity, and motivate yourself each time a new show comes--it's already on your calendar. I've talked to some busy parents who say museums aren't part of their lives because their kids are already jam-packed with soccer and violin lessons and play dates. If families in your area coordinate their outings on an advance calendar, your institution needs to get on that schedule to be a viable part of their lives. Introduce new participants to committed members at every new event. New audiences may not be aware that there are other people who see dance performances or jazz shows or science exhibits as part of their everyday lives. One of the most powerful motivators I've had in athletic situations is when an experienced player welcomes me into the game, gives me some pointers, and invites me to join the team to hang out after the sweating is done. Too many new arts experiences are lonely, transactional, and devoid of social engagement with other participants. If your institution or event has members or regulars who love the programming, those people are the best ones to welcome newcomers and share their (hopefully infectious) joy with them. Help people understand what they will "get" out of regular participation. To a newcomer, it's not apparent that a museum offers many kinds of programs, or that regular attendance to an arts event might provide deeper or multi-faceted experiences over time. What they see is what they get: that day, that event. Gyms are incredibly good at selling people on the idea of increased fitness, attractiveness, self-confidence, and muscle tone over time. They introduce every new member to the wide range of activities offered and explain how all of them contribute to a healthier you. But arts professionals are more squeamish about trumpeting the value of their offerings. People are not bombarded by marketing messages and societal pressure to engage with cultural venues. There aren't ads on TV talking about how great it is to get lost in art. Cultural institutions need to be overt and unapologetic about the benefits of sustained involvement. Visitors, especially new ones, aren't going to connect the dots on their own. Encourage people to use the institution for a broad range of reasons. Jasper Visser wrote a great blog post about untraditional uses of museums, celebrating people who come in to shop, do homework, or meet new people. We need to make these myriad uses more explicit. The people who feel comfortable having a social event at a museum or popping in to spend time with a single artifact tend to be people who have great experience with and comfort in the institution already. Most visitors feel like they have to "do it all" to have a successful experience. We need to debunk this impression if we want people to use the museum casually. I love the Dallas Museum of Art's list of "100 experiences" you can have at that institution. This kind of list helps people understand that there are lots of ways to "do" the museum and that they don't have to leave exhausted to have done it "right." Find a way to encourage a participation blitz. What's the 30-day yoga challenge equivalent for the arts? Could a group of institutions in your town get together and offer a set of experiences, events, or cultural practices that people could partake in daily for a month? This could be an exciting way to jump start participation in many institutions, and at the same time, to support the development of new social relationships that center around the arts. What do you think it takes to build an arts habit? Sustaining Innovation Part 4: Slack or Shoestring? This is the last in a series of posts about Paul Light's book Sustaining Innovation: Creating Nonprofit and Government Organizations that Innovate Naturally. This post is another "open thread" encouraging conversation about a core question that arose for me as we've explored the topic this month. Last week, this blog featured an interview with Sarah Schultz, a long-time staffer at the Walker Art Center, about her experiences working in an innovative arts organization. One of the things Sarah focused on is the idea of having "slack"--money, time, and headspace--to pursue experiments and let innovative ideas germinate. As we discussed slack, I was very sensitive to the fact that Sarah works in a big institution where there IS money to find in the corners of the budget and where there are enough people to be able to put together creative projects without completely abandoning their basic work requirements. Most museums, frankly, aren't like that. The majority of museums are quite small in budget and staff. 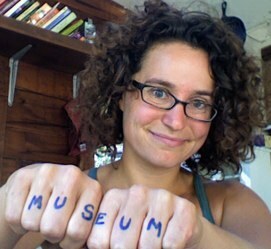 Sarah may be looking for slack on the order of $10,000 while your museum might be lucky to scrounge $100 for new ideas. And this makes me wonder: is the "slack" model as appropriate to small, scrappy institutions as it is to larger organizations? The alternative is the model that startups use--the "shoestring" model--where passionate people bootstrap their vision into being, constantly facing threats from the outside. In Paul Light's book, he describes several nonprofits that are more shoestring than slack, fighting every day to make their innovative ideas happen. One of those--the Phoenix Group--overextends itself and has to close up shop, but the others survive and thrive. Picking this apart requires differentiating organizational maturity from size or budget. In her great book on nonprofit lifecycles, Susan Kenny Stevens defines seven stages of nonprofits: idea, startup, growth, mature, decline, turnaround, and terminal (if the turnaround doesn't happen). The Walker is clearly both mature and large. As a mature institution, it needs to focus on using slack to drive innovation, since innovation often falls off the table when an organization reaches maturity. Without continuing to innovate and stay relevant, the organization goes into decline. But for institutions that are not yet mature, baking in slack may not be necessary or even feasible. An institution that is (whether by design or accident) constantly in startup or growth mode is one that is constantly innovating by necessity. This mode of operation can be exhausting and risky, but it's also exciting and not as prone to slip into the self-congratulatory irrelevance that marks the shift from maturity to decline. I'm not sure what's better: to be a mature institution with various systems to continue promoting innovation or to be a startup institution that is always hungry for innovation to drive growth. I know that Paul Light would say it's the first one, because nonprofits need to avoid risk to sustainably deliver on their missions. But I'm not sure I agree, or that that model is best for everyone. What's worse, the threat of irrelevance or the threat of insolvency? How would you rather innovate--on a shoestring, or with built-in slack?